This second post on my Florida beer experience looks at a pair beers from the South Eastern part of the country that I just don’t get up here in Massachusetts. Again, these were both picked up from the wonderful folks at Maggie’s Attic in Mount Dora. Description: Advertised by Terrapin as a sweet stout brewed with cocoa nibs and shells for an added chocolate taste. Pour Info: Poured from a refrigerated 12 oz. bottle into a pint glass. Best by date on the bottle was 3/18/2015 so I drank this in its prime on 11/17/2014. Appearance: Pours black with some bubble lacing up the sides. No head to speak of this one but perhaps I poured it too gently. Smell: Sweet creamy aroma paired with hints of the chocolate goodness to follow. Taste: Good milk stout base with chocolate up front. I was pleasantly surprised by how chocolately this tasted as I wasn’t expecting more than a hint or two when I picked it up. Mouth Feel: Thick yet very smooth to drink. Low carbonation despite the bubbles I mentioned above, just about right on for the style. Hype Factor: Moderate. I really liked the last Terrapin beer I tried (Hopsecutioner) so I decided to give another one of their offerings a try. I can really get into a good stout and they had me with the chocolate milk name. Overall: I enjoyed this beer. It was the perfect dessert at the end of the day and for very smooth and easy drinking. I’d pick this up again if I had a chance. Description: Described as a “feisty and hoppy” take on an Irish red ale per the company website. Ingredients include Cascade and East Kent Goldings hops, crystal malt, and roasted barley. Pour Info: Poured from a refrigerated 12 oz. can into a pint glass. No best by or canning date visible. Appearance: Pours a reddish body with a thin and foamy white head. Smell: Dominated by sweet malts and to a lesser extent a kind of wheaty grainy smell. Mouth Feel: Medium to light bodied and very smooth to drink. Moderate amount of carbonation, suitable to the style. Hype Factor: I picked this up with somewhat high hopes since hoppy red ales are one of my favorite styles. I like them so much that this style is my first (and currently only) home brew go to recipe. As such I’m always on the lookout for new examples to try, though I can’t say that I’d ever heard of this one before. Overall: While this was by no means a bad beer I did find it to be somewhat average. Since I don’t have a canning date to go off of I’m not sure if this is what the beer is or if it wasn’t entirely as fresh as intended (neither answer would surprise me). I also might have just had my hopes up too high for something amazing. I tried and don’t regret having done so but I probably wouldn’t pick this up again. This wraps up the second installment from Florida. I will have the finale up in the next couple of days and then after that it’s back to drinking in the cold. It’s been a little while since I posted my last review, so it’s time to get caught up. While I was away, I took a trip down to Florida to visit family and got to sample some goodies that I don’t get up here in Massachusetts. I didn’t have an opportunity to go full on beer hunting, so what you’ll see here represents the things that caught my eye at a little shop called Maggie’s Attic in Mount Dora. In addition to having a good selection of beer and wine to bring home, they also have a few tap lines and an assortment of wines to drink on site. My wife and I had a wonderful time there, so much so that by the time we had finished our beer and wine purchases, I missed out on recording the individual pricing of my beers! As such that part of the review has been left out this time around. 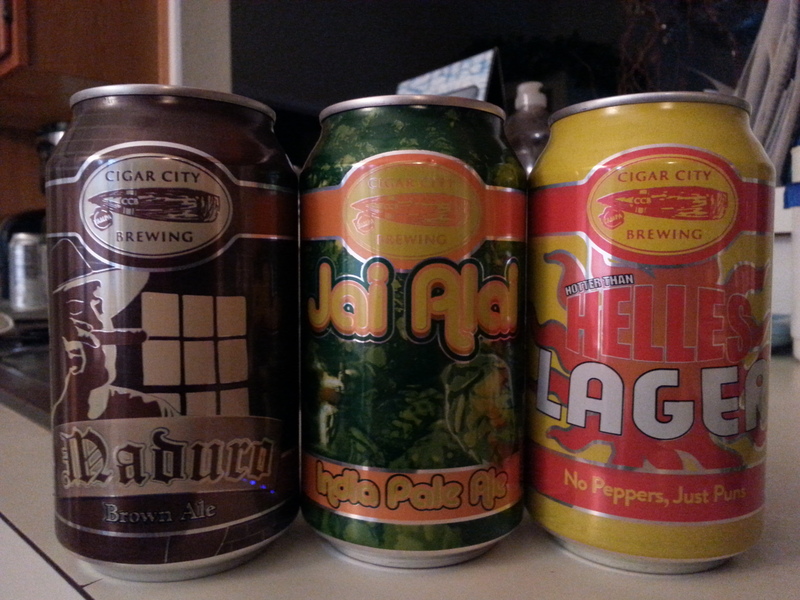 The first installment of my 2014 Florida beer experience will look at three beers from the folks at Cigar City Brewing. Description: Year-round IPA featuring citrus and topical fruit tastes. Pour Info: Poured from a refrigerated 12 oz. can into a Miller Lite pint glass. I didn’t have much in the way of glassware to work with while on vacation, and this was the best option. The can was dated 10/21/2014 and was consumed on 11/17/2014. Appearance: Pours a light amber color with a fluffy white head that slowly dissipates while the beer is consumed. Smell: Offers a fruity burst of citrus smells and a sweet malt base. Taste: Citrus and tropical fruits blended with fresh hops backed up by lightly sweet malts. Very drinkable and just enough hops come through to impress that yes, this is an IPA. Mouth Feel: Medium body. Drinks very smooth with just the right amount of light to medium carbonation. 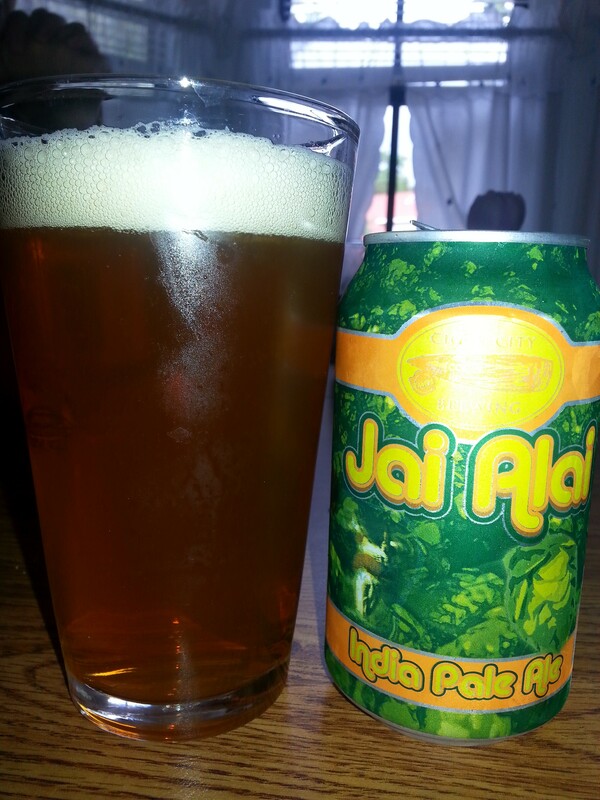 Hype Factor: Somewhat high seeing as this is THE Florida IPA I was aware of when going down for my visit. I’ve had this once before on my last trip to Florida, and it impressed despite being having been drunk at the last minute and semi-cold. It did not disappoint this time around and judging by its presence at Publix (the local grocery chain) it seems pretty easy to obtain in the Florida beer market. Overall: Very nice drinking and rather refreshing. Upper tier IPA. Description: Cigar City calls it their take on a thirst quenching German lager, employing sweet malts balanced by Hallertaur Mittelfruh hops. Pour Info: Poured from a refrigerated 12 oz. can into the same Miller Lite pint glass used above. Can was dated 10/17/2014 and was consumed on 11/17/2014. Appearance: Pours a pale yellowish amber color. A foamy white head formed, but it was quick to dissipate. Smell: Clean and doughy. Otherwise about what you would expect from a lager/pilsner. Taste: Light floral taste accompanies a pretty standard and crisp lager. Mouth Feel: Light and smooth with moderate carbonation. Hype Factor: Moderate. 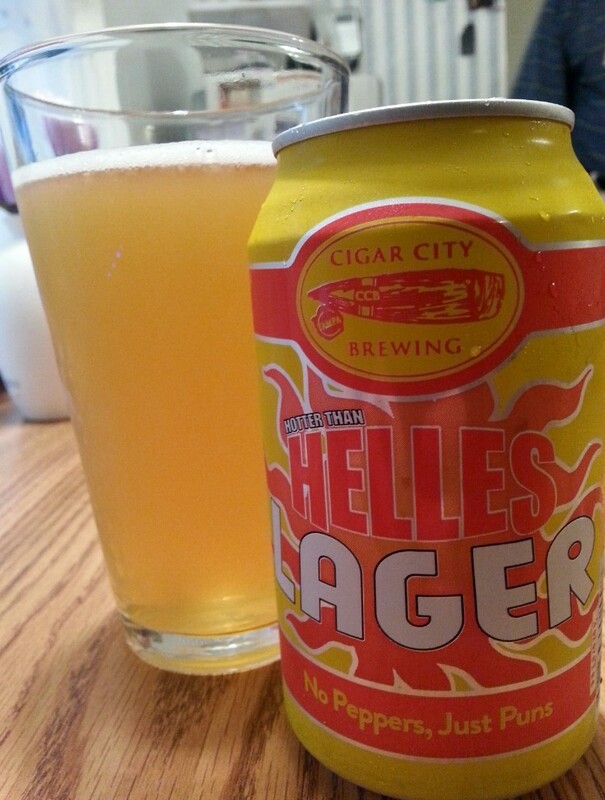 I wanted to branch out into some more of Cigar City’s offerings, and at first thought this might have been a pepper beer. Turns out it was something on quite the opposite end of the spectrum, but the can made that very clear, so I knew what I was getting into. Overall: Not a bad beer, but it was by no means remarkable for me. Seemed like a fairly standard light lager/pilsner type beer that I image would make an awesome lawn mower beer or would drink great on a Florida beach mid-summer. I’m thinking that perhaps I had this one slightly out of season (indoors with the temp “only” in the low 70s) to fully appreciate it. Description: Per the info offered by Cigar City, this is their take on an English style brown ale. They added flaked oats to the malt bill in order to balance the other components of the beer and bumped up the ABV slightly higher than is typical of the style. Pour Info: Poured from a refrigerated 12 oz. can into my friend the pint glass. Can date was 9/26/2014 and this one was also consumed on 11/17/2014. Appearance: Pours a nice dark brown with a thin bubbly whitish/tan head that clears off pretty quickly. Smell: Roasted malts with hints of coffee. Taste: Much like the smell, there is light roasted malts with hints of coffee and some chocolate notes. These all blend together quite well to give the beer a nice flavor but also make it rather mild drinking. Mouth Feel: Medium body and carbonation. Hype Factor: Moderate. 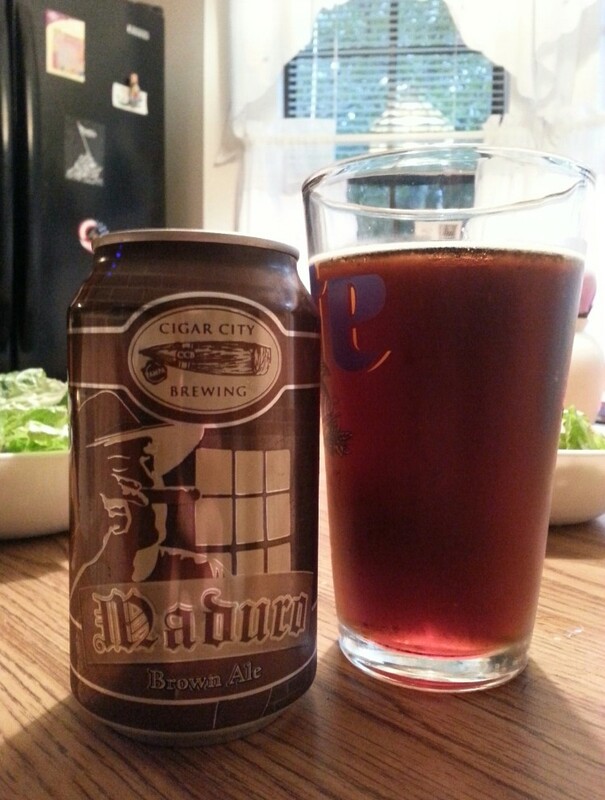 This was another Cigar City brew I was interested in trying and was quite happy to see it available on the shelf. Overall: Brown ales can be very hit or miss for me depending largely upon how balanced the roasted malt taste is in comparison with the rest of the beer. This particular one was spot on in that the roasted taste blended in well with the rest of the flavors and was overall nicely mild. I wouldn’t hesitate to pick it up again when given the chance. This wraps up the first set of beers I’ll be looking at from my Florida trip. I have a few more reviews in the works that I will get up shortly and perhaps even a book review or two coming up. Description: Per the Night Shift website and Beer Advocate, this is a Brett fermented IPA aged in wine barrels with touches of mango and ginger. Hop bill is Citra, Simcoe, Mosaic, Nelson Sauvin, and Topaz. Pour Info: Poured from my trusty 32 oz. 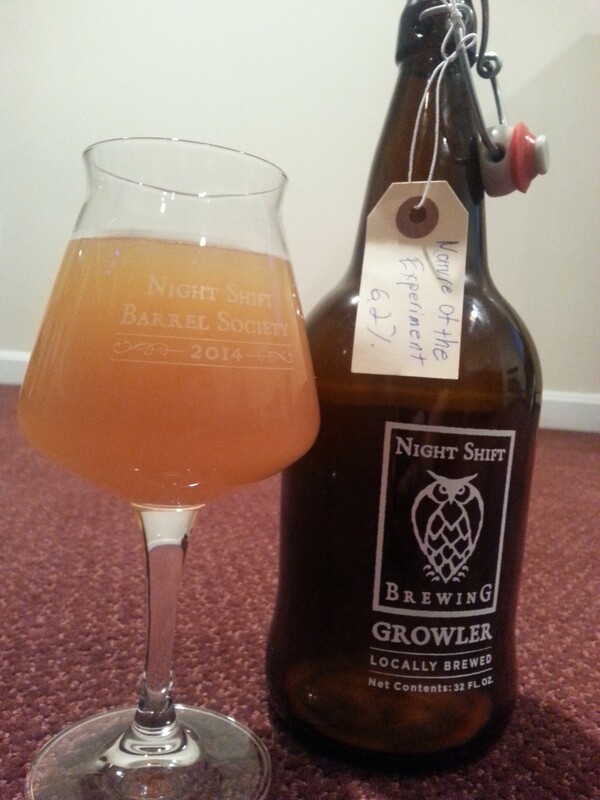 growler into my Night Shift Barrel Society teku glass. The beer was released at the brewery on 11/4/2014, growler was filled on 11/6/2014, and the pour used for this review was consumed on 11/9/2014. So we’re talking fresh here. Appearance: Pours a yellowish orange body with a wispy thin white head that breaks up fairly quickly. Smell: Smells of muted hops, citrus fruit, and slight bretty funk. Taste: Slight hoppiness up front gives way to a nice juicy citrus taste midway. The finish hints of red wine and the brett taste comes out a bit more as the beer warms. I found the flavors blended together nicely for a great experience start to finish. Mouth Feel: I’d call this thoroughly medium bodied and appropriate to style. Just enough carbonation. When allowed to sit and warm up for a bit it bordered on getting a touch syrupy at the end but was good drinking all the way through. Hype Factor: I’m always excited to try a new Night Shift brew but I would say the hype factor is moderate on this one. I believe it was one of four new beers they had on tap at the brewery when I swung by (aka another Thursday there) and this wasn’t even the one I was most excited to try at the time. Of course it is the one I brought home in my growler so there’s that. 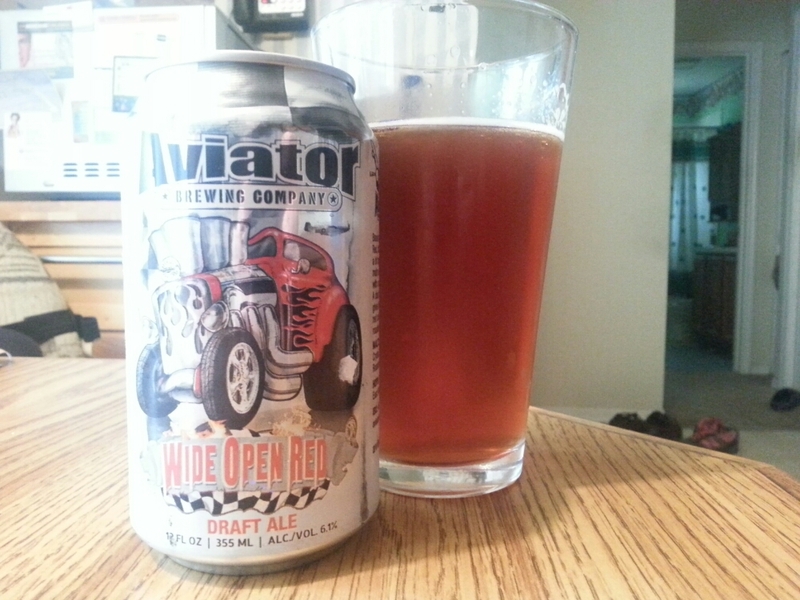 Overall: I found this beer to be very well constructed and satisfying to drink. I hit up the growler both on its own and following a wine tasting and the beer held up nicely on both occasions (the later perhaps due to the barrels involved). At times I felt it almost drank like a type of beer/wine hybrid. Rated purely as an IPA this is not particularly hoppy by some standards but the hops definitely do make themselves known in harmony with the other flavors. I’ve been a fan of Night Shift for quite awhile now but I think this is my first encounter with the Bissell Brothers. Definitely going to keep an eye out for them. 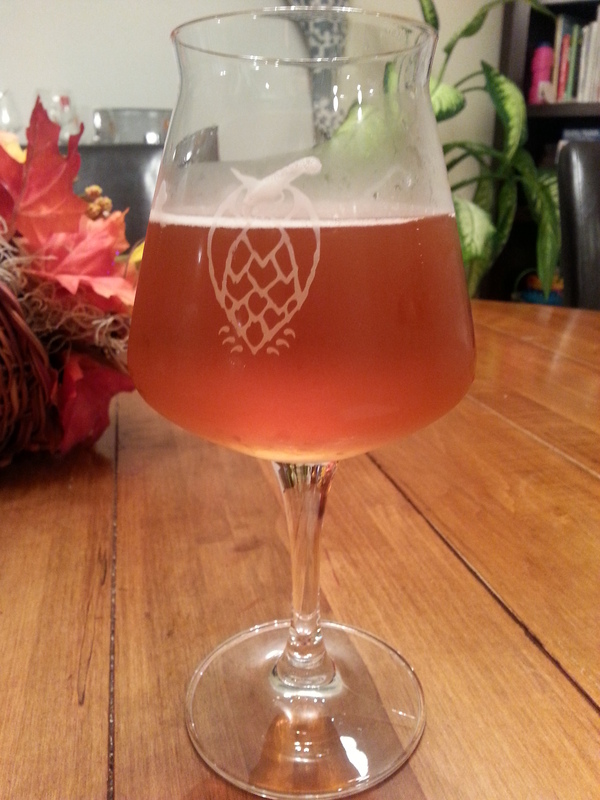 Description: Per the Element website, this is a double IPA “blasted” with three citrus flavors. They added kaffir limes and Citra hops during the boil and grapefruit oil prior to bottling. According to the label my bottle was one of only 460. Pour Info: Poured from the bottle into my teku glass. I picked up the corked and caged bottle on 11/8/2014 at a beer and wine tasting at a local store. Bottled on date was 10/24/2014 (another fresh one!). Consumed for review on 11/11/2014. Appearance: Medium copper body with a bubbly white head that slowly dissipated. Bottle conditioned sediment on the final pour that turned into a tasty bonus. Smell: Strong bitter and citrusy hops. Wow, almost a punch in the nose. Taste: Again, another punch of bitter citrus hops (as advertised in retrospect). Bitter taste is somewhat oily and resinous. The grapefruit oil they added definitely comes through in the finish and I get hints of the lime sort of up front and toward the beginning of the finish. I would say this is rather bitter but there’s enough interesting citrus tastes going on to compliment that and keep it in check. Hype Factor: I’d have to say low on this one. I’ve never really tried much of anything from Element before prior to running across their Sake IPA at the Gulu Gulu in Salem, MA on Halloween. I’d seen them plenty but just one of those breweries I’d never picked for whatever reason. Between running across them in Salem and then at the local tasting it seemed like a good time to try them out. Overall: This is a tough beer to categorize for me. By smell and initial taste it seems like it should be too bitter but somehow it works out into a really enjoyable beer. The lime and grapefruit combine to create a very interesting citrus profile that compliments the hops very well. I am tempted to try and get another bottle if they are still available to see how this drinks a month or more out from bottling since this was so intense this time around. 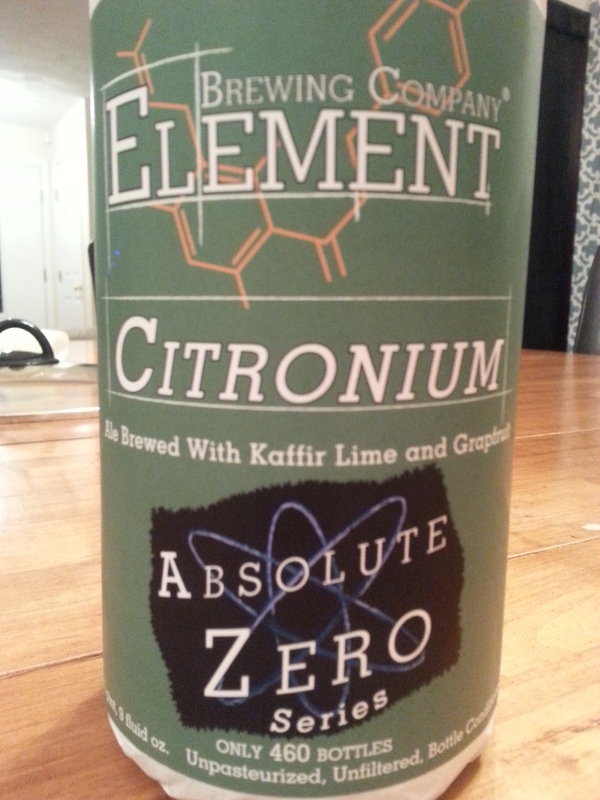 I did really enjoy the beer overall and Element Brewing has now officially got my attention.